All you can do is ache & stay alive. Read the rest of these sections at TOAD. These poems are a collection of polaroids I would like to keep in my back pocket: the pulse of a ticking watch, an empty seat on a crowded morning commute train, the aching sunlight of the afternoon. about why something isn’t where it should be in my heart. It’s a poem that moves in interesting ways. Join me over there and give it a read, won’t you? Read the rest here, trust me, it will move you. 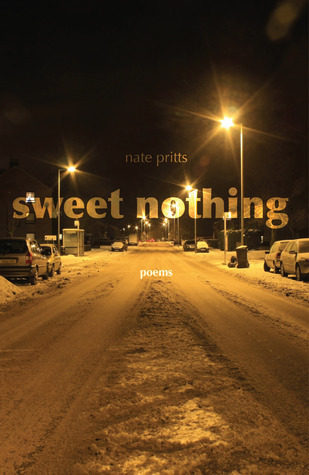 Also, Nate Pritts is reading here in Indy for Vouched Presents on March 26th. Start getting excited. Yesterday, I realized I needed a haircut, so my also-named-Tyler pal cut it for me. Today, I remembered how cool Vinyl Poetry is. The new issue has cool stuff by fun word people like Bob Hicok, Nate Pritts, and Nick Ripatrazone. But Vinyl also brings the boo-yeah with people I’ve never read before. Like the work of Prathna Lor. 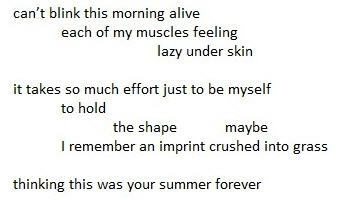 These short prose poems rule in the way complicated things hide themselves in simple shapes, like a boom boom change of heart hidden in a haircut. Every so often, I arrive at a locus where I am unable to politely hold a ball of air. And it is during these moments in which I think of you, you, and you—though, perhaps, not in that order. Also, the Grocery List thing is as wild as grocery lists get. Heck, this whole journal is interesting, so get interested and interests and interesting. “When you read, have fun.” – my first grade teacher.